This week we were so inspired by the floral beauty of spring and the romance of wedding season that we brought those two delights together for a blog post. In celebration of new life and new beginnings, we made a gorgeous candle craft: a DIY Paper Flower LED Candle Centerpiece. 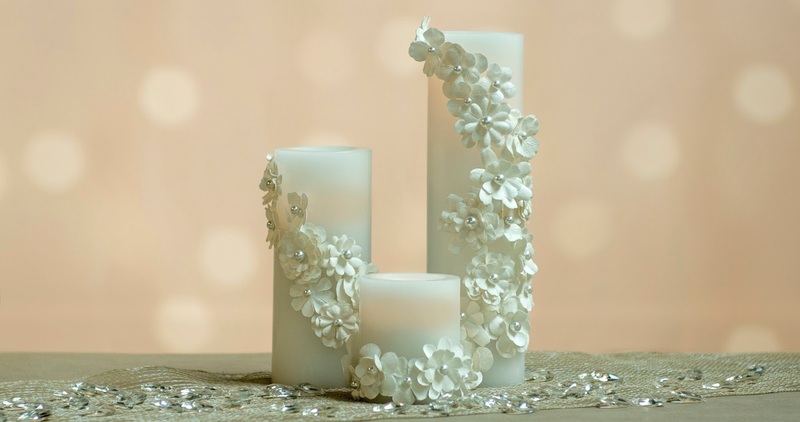 One of the biggest perks of using Candle Impressions LED candles is the ability to decorate them with virtually any material, including flammable paper. 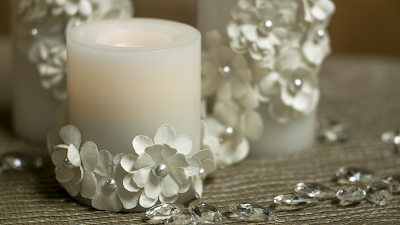 In this DIY tutorial we contrast the rich and smooth texture of our real wax LED flameless candles with soft paper flowers and the alluring lustre of white pearls. The results are a gorgeous centerpiece, suitable for weddings, bridal showers, engagement parties and feminine spring decor. 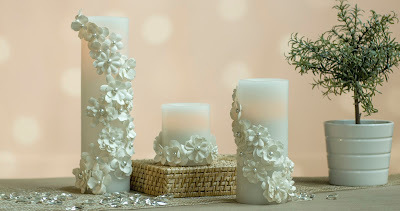 Watch the below video to learn how to make this beautiful project in less than 20 minutes. Thank you for reading! Please let us know what you think of our new video blog format the this pretty little craft. Please remember this craft is intended for adults only and is not suitable for young children due to choking hazards.